You’re here because you’re getting married and you want to look and feel your very best on your wedding day. I get it, as the bride, all eyes will be on you and so that’s where I come in, to create your perfect bridal makeup look, taking away the stress of doing your own makeup and ensuring you look and feel amazing; right through from walking down the aisle to dancing the night away! Covering weddings across the Midlands, Worcestershire, Shropshire and the Cotswolds, I’ll provide you with friendly, professional and understanding service that ensures you feel comfortable and confident about your makeup not only on your big day, but in the lead up too! 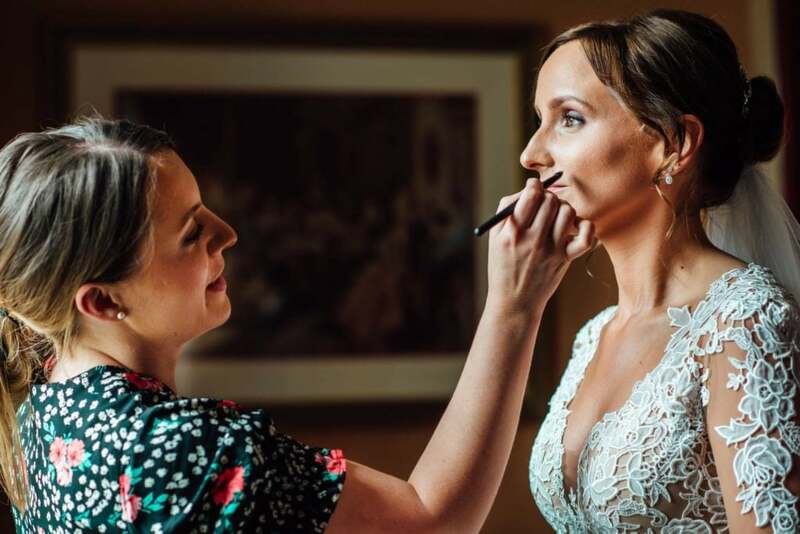 Alongside wedding makeup for you and your bridal party, I also offer a range of add-on services to help you create your perfect bridal look including LVL Lashes, HD Brows and Airbrush Makeup. Why am I the bridal makeup artist for you? Your wedding day is brimming with sentiment and meaning. Everyone that is special to you will be there. In recognition of this, bridal makeup is all about helping women to show up on the biggest day of their life full of pride in their appearance and confidence in their own skin. It’s no secret that when you look good you feel good too and this is why I love my job so much. Makeup is a personal thing and every bride has different requirements, which is why I’ll listen to your needs to create your perfect wedding day makeup. Unlike many other wedding makeup artists, I haven’t always worked with makeup, in fact my journey to becoming a bridal makeup artist all started in my early twenties when I developed bad acne. I spent hours at makeup counters searching for products that would help hide my problem, I didn’t feel confident and all I wanted was a solution to change this. It was through these years that I really developed a love affair with all things skincare and makeup, so much so that I left my job as a history teacher and changed my career to retrain as an MUA and pursue my passion – making women feel amazing and confident on their most special day. Makeup really is a powerful tool and I love to see the big reveal and transformation of brides on their wedding day; it’s such a special moment filled with happiness and confidence and something I feel so lucky to be a part of. If you’re searching for a bridal makeup artist who will listen and help you look and feel the very best version of you, I can’t wait to hear all about your wedding and your bridal look! Through having skin problems in my early twenties I developed an interest for makeup. I have a real understanding for how makeup can transform your self-confidence. Make-up is a powerful tool and the most rewarding part of being a Makeup Artist is helping women become a more confident version of themselves and to help make them feel special.